There are 7 reviews of La Tulipe. Perfectly passable modern fabric softener floral. To my nose, it's a mix of bright violets with cherry and rose, over lightly soapy white flowers and that Snuggle fabric softener base. For the first half hour, this is a better-than-average fruity floral, and then evolves into a strong fabric softener smell, like some sort of "spring flower" laundry detergent. La Tulipe is well done for what it is, reminding me of the Jo Malone simple-fruity-florals-done-well aesthetic, but any perfume that smells this close to common functional odorants is hard to recommend at Byredo prices. 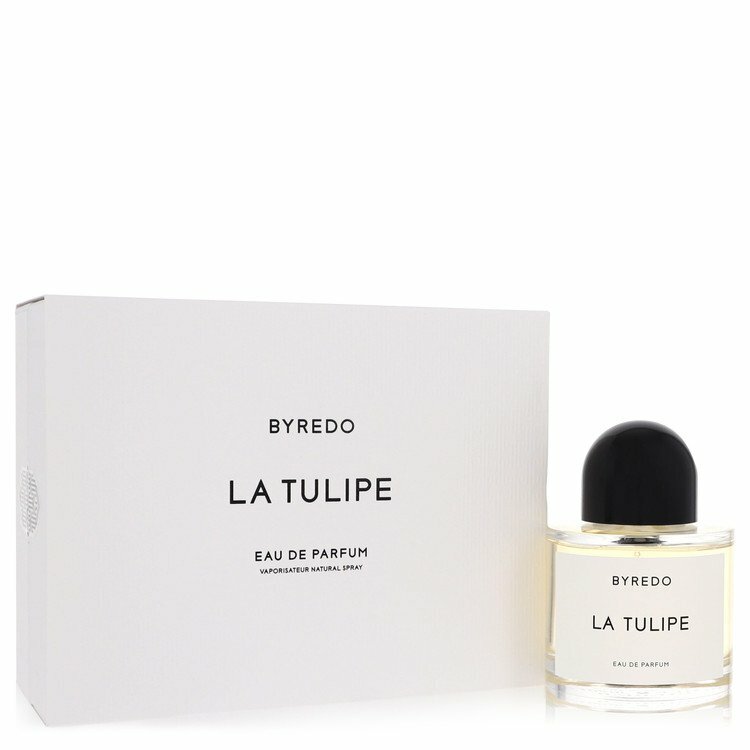 Byredo La Tulipe is a very agreeable floral fragrance, certainly inherently geared toward female wearers in the conventional sense, but very nicely balanced, especially as it dries down. It's mainly tulips, with some other florals mixed, and the main element that's mixed in the dry down is vetiver, to my nose, and perhaps a little musk. Slightly fresh, slightly herbal, almost borderline citrus-smelling, though without any listed citrus notes. Performance is adequate, certainly better than the Gypsy Water EDC but certainly not as robust as more of the cold-weather-leaning Byredo options. Definitely one of the nicer Byredo offerings I've tried to date. Nothing something of which I'd buy a full bottle, but a pleasant one to wear. I just can't shake off the singular association I've formed with freesia since I was a kid. Whenever I smell this note I'm reminded of bath talc. Well, the same sort of thing happened with TULIPE though the note takes more of a backseat to the central white floral accord. What a lovely floral! It hums along rather than shrieks, and feels pitch-perfect for a blushing young bride. Outside of weddings, however, I just can't see anyone rocking this unless her name is 'Mary Poppins'. This is only the second Byredo I have tried. I love Bal D'Afrique and had high hopes for this one as tulips are my favorite flower. However, it's basically just a nice bland floral. It's not offensive but I get nothing remarkable out of it and would absolutely never pay Byredo prices for this one. A Beautiful Evocation of Spring. For a fleeting moment in the opening, the rhubarb note is very prominent, but then it calms down & combines with the freesia note to form a greenish, cool & fresh floral accord. Although it's not exactly natural-smelling, this accord actually produces a rather clever & beautiful abstract idea of a bunch of spring flowers. The fragrance is linear, but very diffusive, & lasts a good seven hours before fading. This is not a challenging fragrance, but is most enjoyable as a thing of simple beauty, & sometimes that's all one needs to put a smile on one's face. There are no member images of La Tulipe yet. Why not be the first? 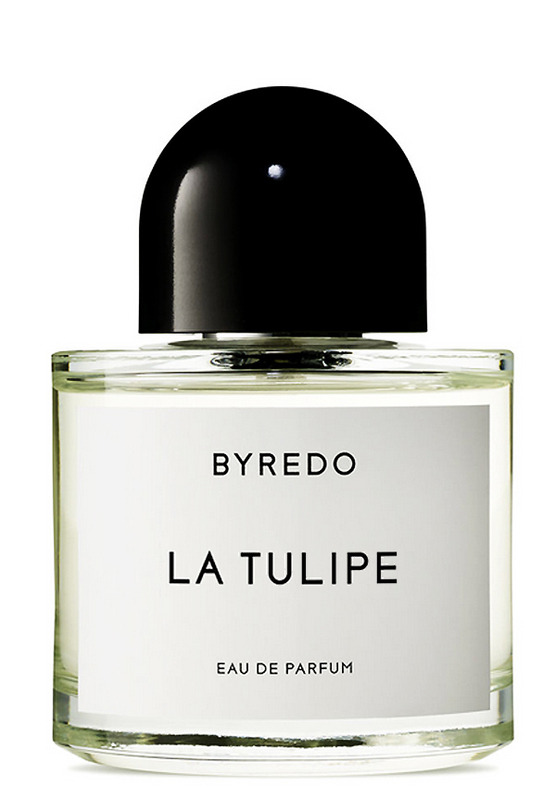 Something like Byredo La Tulipe but with better sileage?